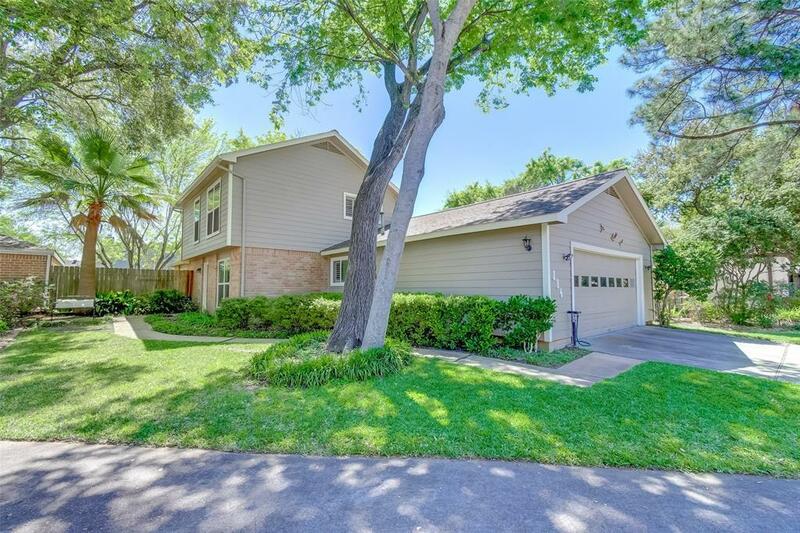 Lovely single-family, patio-styled home located in the heart of the Energy Corridor in wooded neighborhood. Tucked in a serene cul-de-sac, this sought-after two-story floor plan boasts living areas and master down with two generously-sized bedrooms upstairs. Loads of light throughout. The kitchen has a breakfast bar area that is also convenient as a home office. Lovely dining room overlooking front garden. 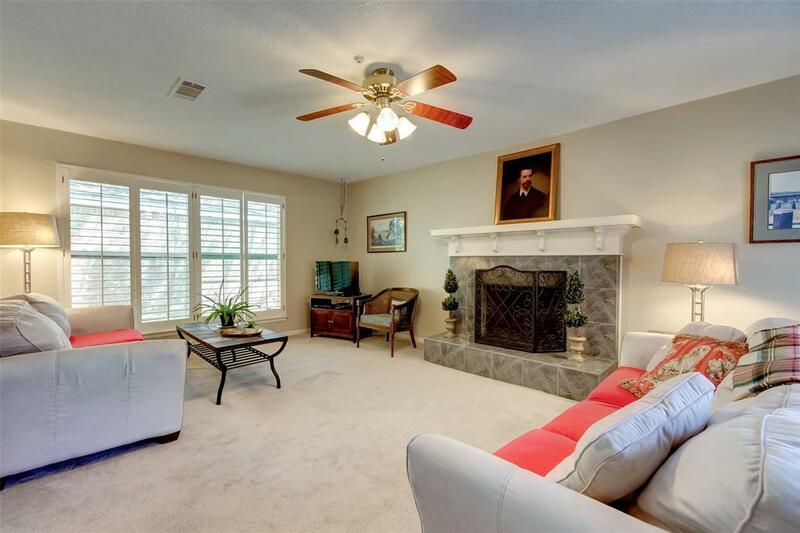 The large family room with fireplace enjoys lots of natural light and green views from large windows & patio doors. 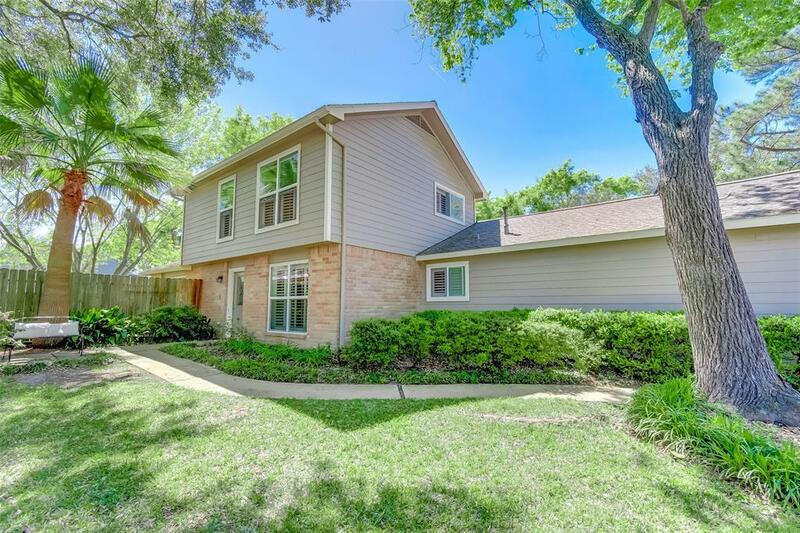 Master bedroom has private sliding glass door to deck & expansive, enclosed yard with noble shade trees and sprinkler system. Two-car garage with access to fully-floored attic. Lots of closet space. 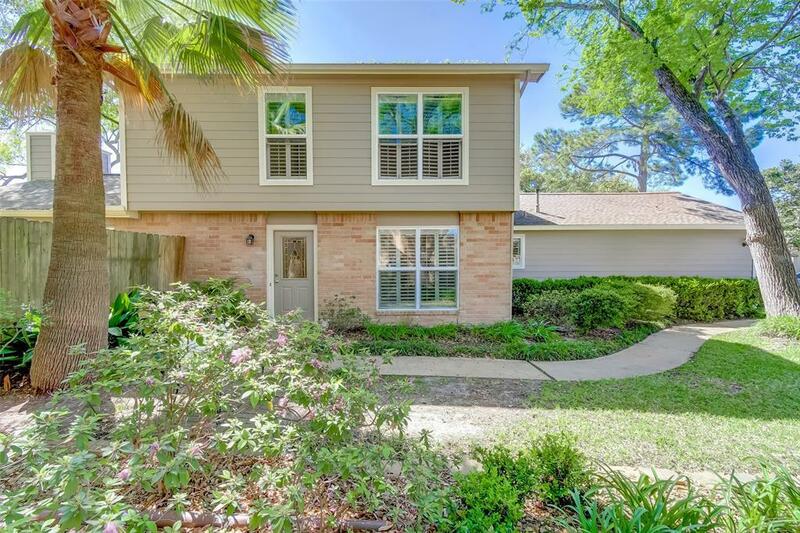 Many upgrades including plantation shutters throughout, Roof 10, hot water heater '11, carpet 10, HVAC '14(TRANE), Hardiplank siding/gutters '17, windows replaced '13, new exterior deck '18! Private-park, tennis courts and pool. Bike/walk to Terry Hershey Park and stores.